Where asbestos has been removed, it is important to consider whether a suitable product will be required to replace the removed item. We offer a complete asbestos reinstatement service for all commercial and domestic clients. We aim to provide minimal disruption, removing asbestos safely in controlled conditions and reinstating materials to meet specific requirements. Once the asbestos has been removed, we would most commonly replace the roof with fibre cement profiled sheets. The sheets and accessories are asbestos free, environment friendly, impervious to chemicals, non-corrosive and non-toxic. They are also highly cost-effective and once fitted virtually maintenance free. 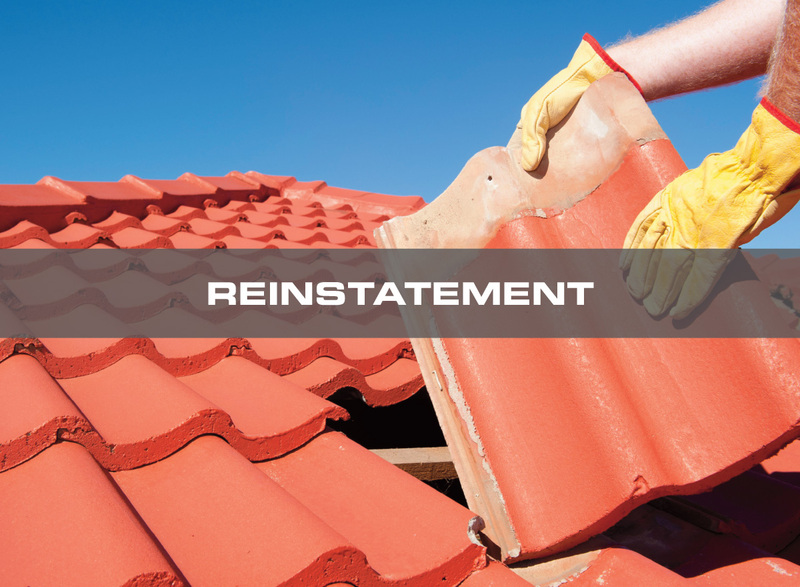 There are further products that we can use to renew roofs with, such as: coated steel sheets, corrugated metal sheets, Onduline sheets, Polycarbonate sheets and a new pitched or flat roof. All of which can be discussed with a site visit. Ceilings are normally replaced with fire resistant plasterboard but can be discussed with client prior to works. Rainwater goods are replaced with modern PVC in various designs and colours and can be discussed with client prior to works. First Call Asbestos Services. Asbestos Removal throughout Taunton and Somerset.